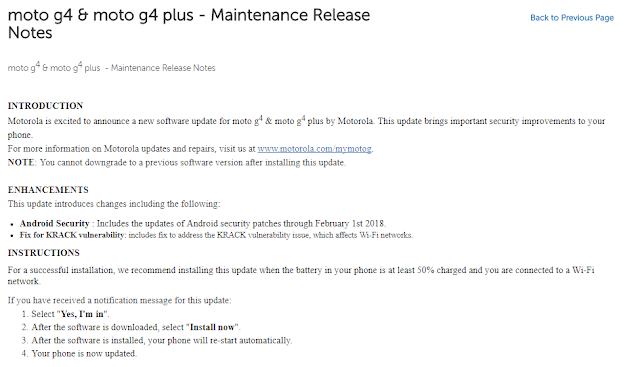 It seems that Motorola is gearing up to launch February 2018 Security Patches for the Moto G4 and Moto G4 Plus. 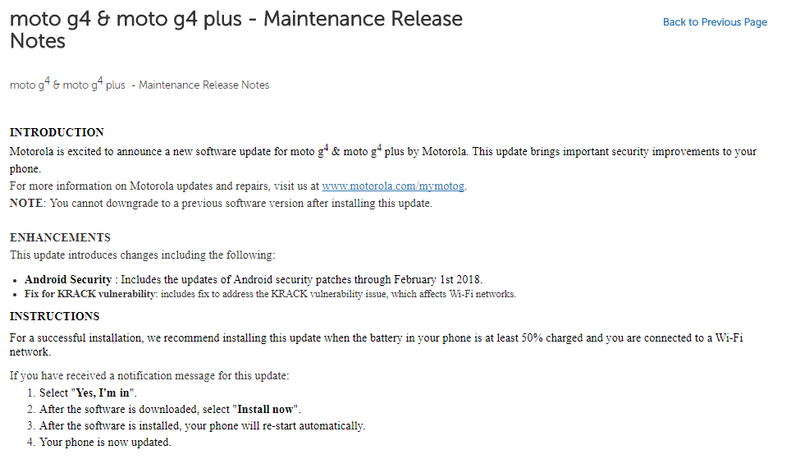 The February security update release notes are already live for the Moto G4 and Moto G4 Plus. Motorola mentions that the update includes WPA2 WiFi vulnerability "KRACK" Fix. The Key Reinstallation Attacks (A.K.A KRACKs) was first discovered by Mathy Vanhoef of imec-DistriNet, KU Leuven. It’s a WiFi vulnerability that breaks WPA2 by forcing nonce reuse. According to krackattacks.com, An attacker within range of a victim can serious weakness of WPA2 using key reinstallation attacks (KRACKs). Attackers can use this attack technique to read information that was previously assumed to be safely encrypted. This can be abused to steal sensitive information such as credit card numbers, passwords, chat messages, emails, photos, and so on. The attack works against all modern protected Wi-Fi networks. Depending on the network configuration, it is also possible to inject and manipulate data. So, the company is most likely to start February 2018 update official rollout for the Moto G4 and Moto G4 Plus by the end of this month. We will let you know once the update is live. Stay tuned to our Facebook and Twitter page to get the first News. 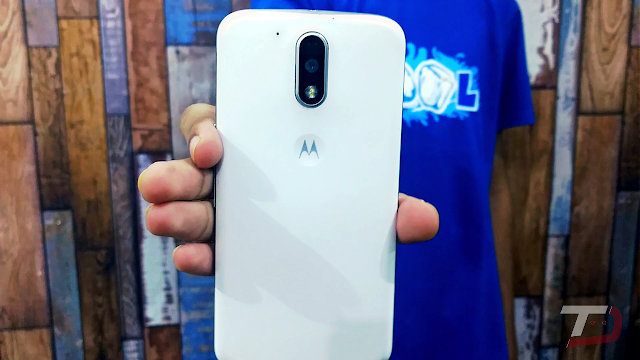 Motorola is excited to announce a new software update for moto g4 & moto g4 plus by Motorola. This update brings important security improvements to your phone. Android Security : Includes the updates of Android security patches through February 1st 2018. Fix for KRACK vulnerability: includes fix to address the KRACK vulnerability issue, which affects Wi-Fi networks.